1000 roubles as a gift for registering! We’re giving all Newcomers 1000 roubles towards an order as a gift! How do I get 1000 roubles towards my order? 1. Register on faberlic.com from 8 to 28 April, and 1000 roubles towards your order will be instantly credited to a special account in your personal profile! 2. Place an order of 2000 roubles or more before 28 April and use your 1000 rouble gift towards it! 1. Register on faberlic.com from 18 March to 7 April, and 1000 roubles towards your order will be instantly credited to a special account in your personal profile! 2. 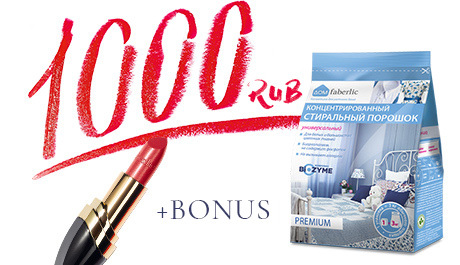 Place an order of 2000 roubles or more before 7 April and use your 1000 rouble gift towards it! For the first time ever, we’re giving all Newcomers 1000 roubles towards an order and a fragrance by Valentin Yudashkin as a gift! 1. 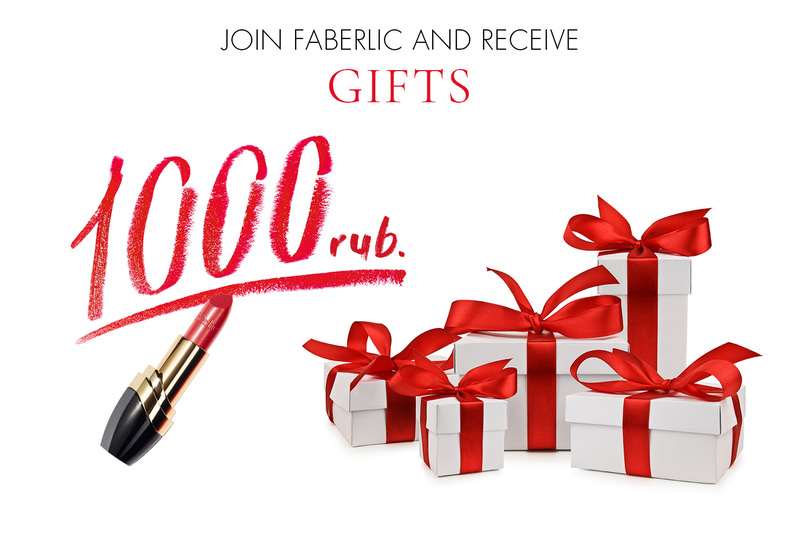 Register on faberlic.com from 11 to 24 February, and 1000 roubles towards your order will be instantly credited to a special account in your personal profile! 2. Place an order of 2000 roubles or more before 24 February and use your 1000 rouble gift towards it! 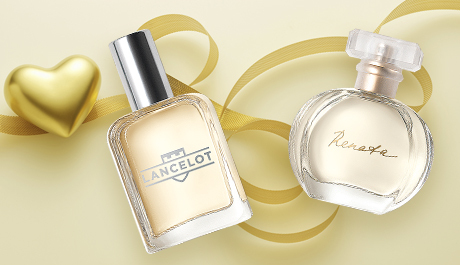 Two best-selling fragrances of your choice as a gift for registration! The world of fragrances is multi-faceted and diverse, and perfumery occupies a special place in the lives of elegant women and real men. Fragrances allow you to present yourself, and they become an expression of individuality and special feelings. As we all know, there is no perfect perfume composition. Each fragrance fits a certain moment, a specific event, place, time, or mood. Let your arsenal include lots of interesting options! 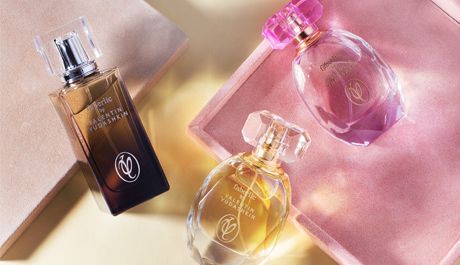 Replenish your perfume collection, choose best-loved fragrances for yourself and for him, and try some new ones! Join our Starting program for new Representatives, discover Faberlic products and enjoy new member benefits! 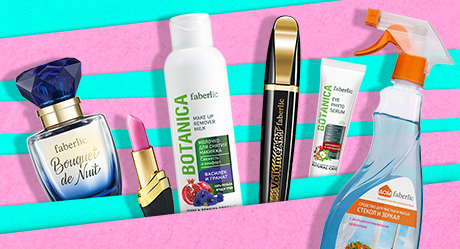 With every new Faberlic catalogue, place and pay for your orders above 2499 roubles (at Catalogue prices) and receive our sets of exclusive products at a special price. Which one? You decide!